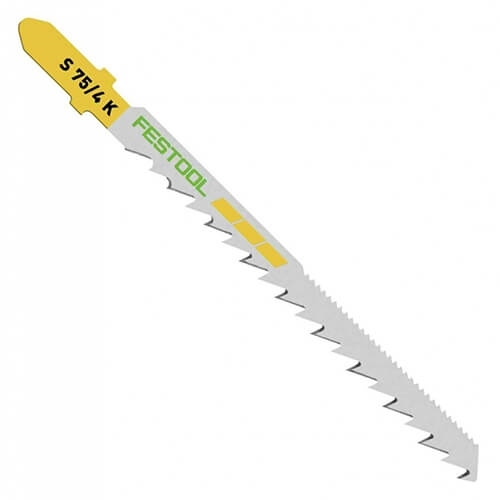 The new S 75/4 K jigsaw blade is made of high-grade HCS tool steel and features teeth on the back side of the blade to produce extremely smooth radius and scroll cuts in wood. The teeth on the back side of the blade act as a rasp to clean the kerf when making curved cuts. Pack of 5 jigsaw blades. Ideal for straight cuts in wood. HCS tool steel quality, 3 inches long, 4 pitch.